Police have arrested the man they say shot and killed four people over a span of six weeks in the Seminole Heights neighborhood of Tampa, Florida. 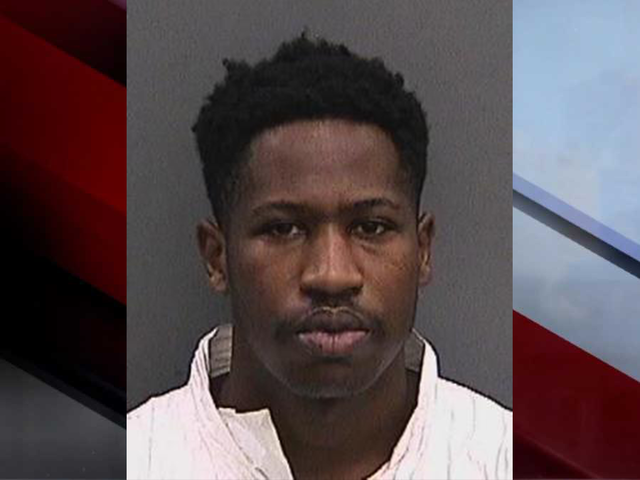 A tip about someone with a gun at an Ybor City McDonald's led police to 24-year-old Howell Emanuel Donaldson III, also know as "Trai," on Tuesday afternoon. On Wednesday morning, Donaldson was booked into jail and charged with four counts of First-Degree murder in connection to the murders of Benjamin Mitchell, Monica Hoffa, Anthony Naiboa and Ronald Felton. A community remains on edge after four victims were shot and killed in the Tampa neighborhood of Seminole Heights. On Tuesday, a fourth person was shot dead , which police are treating as linked to three previous unsolved murders in the area since October. Since the murders, officers have gone door-to-door , making sure they don't miss any information or clues that could lead to the arrest of the shooter. Tampa police have received hundreds of tips, but have fallen short on solid leads. Roughly a month after the first three murders, a fourth victim was shot and killed while crossing the street on November 14. Police say that the suspect came up behind him and shot him. "We are treating it as though it is related until we can rule otherwise," Tampa Police Chief Brian Dugan said following the fourth homicide. This is the first time that police have released a suspect description following one of the killings. TPD is looking for a suspect described as an African-American male with a light complexion. They believe he is approximately 6' to 6'2" tall, with a thin build. He was last seen wearing all black with a baseball cap on, and was armed with a large black pistol. Chief Dugan believes that the suspect is a resident of the Seminole Heights neighborhood. "We will hunt this person down until we find them," Tampa Mayor Bob Buckhorn said during a press conference Tuesday morning. "I want people to look at the video. I want people to see how this person walks," Dugan said. "We don't need speculation, we don't need profiles, we just need names." All four victims were killed at locations within roughly a half-mile (approximately 10 blocks) of each other in the southeast Seminole Heights area. The first victim, Benjamin Mitchell , was killed on October 9 only a few hundred feet from where the third victim, Anthony Taino Naiboa , was killed on October 19. 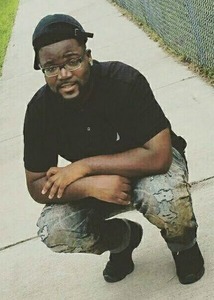 Mitchell was murdered roughly one block north of where Naiboa was shot dead. The fourth victim, Ronald Felton , was killed on November 14 just a few blocks away from where the second victim, Monica Caridad Hoffa , was shot and killed on October 11. Felton and Hoffa were both killed under a half a mile away from the other two murders. In addition to the relatively close time frame and proximity of the shootings, the nature of the shootings has led detectives to believe that the cases are related. “I’ve never seen anything like this, really to tell you the truth, there’s no rhyme or reason,” Sgt. Robert Fannin with the Tampa Police Department said. "We still have no leads, we have no motives," Chief Dugan said during a press conference after the third homicide. "It's clear to me that they're all linked." Detectives believe that the killings were random and have not discovered any connection between the victims. In each of the shootings, it appears the victim was alone and was not robbed. Police say that the killer is finding people who are vulnerable since all four victims were alone at the time of the murders. There is no apparent motive behind the killings, according to Chief Dugan. "Everyone wants to know… 'Is there a serial killer?' That’s the big question I get," Chief Dugan began to explain during a community meeting on Monday. "I have avoided that because there’s a stereotype associated with serial killers. What do I mean by that?" Chief Dugan said. "I hear serial killer I think of Ted Bundy. But here’s the problem… It may not be a white person, it may not be a male it could be a black person, maybe a female. How do we know there’s not two stepbrothers living in a house and they’re doing it together. So let's not let labels and stereotypes box our vision in and we miss whats right in front of us. According to the Federal Bureau of Investigation, serial killings are rare and probably make up less than one percent of all murders. "They do, however, receive a lot of attention in the news and on screen—and much of the information out there is wrong," the FBI's report on serial murders explains . "Yet, the public, the media, and even sometimes law enforcement professionals who have limited experience with serial murder, often believe what they read and hear. And this misinformation can hinder investigations." Click here for more on the FBI's definition of a serial killer. 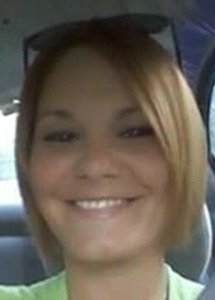 Mitchell was the first Seminole Heights murder victim. Officers say that on Monday, October 9 around 9 p.m., Mitchell was shot while waiting at a bus stop on N. 15th Street just south of E. Frierson Avenue. When officers arrived they found Mitchell lying by the bus stop. He was transported to the hospital where he passed away. Police say that it appears he was alone at the time of the shooting. Prior to the second and third shooting, police said that Mitchell had no criminal background and that he was a "good person from a good family," leaving them without a clear motive. Hoffa was the second Seminole Heights murder victim. Police say that her body was found on Friday, October 13 near the 1000 block of E. New Orleans Avenue. They believe that the shooting may have occurred late Wednesday. Her body was found Friday morning by a City of Tampa employee. Tampa Police officers were notified at approximately 9:30 a.m. on Friday. After Hoffa's body was discovered, Tampa Police held a press conference stating that they believed the two shootings were connected due to the relatively close time frame, proximity of the shootings, and the nature of the two shootings. Naiboa was the third victim in the Seminole Heights murders. 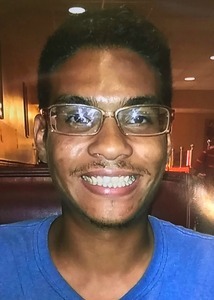 He was a recent high school graduate with autism who was shot and killed on Thursday, October 19 while on his way home from work. Officers were patrolling the area of Northeast Seminole Heights around 8 p.m. when they heard a possible gunshot. A short time later, they found Anthony Taino Naiboa, 20, shot dead on the sidewalk. Naiboa was found on N. 15th Street between E Conover Street and E Wilder Avenue. Officers determined that Naiboa had taken the wrong city bus on his way home from work and believe he was going to another bus stop but did not make it. Police responded to a report about shots fired just before 5:00 a.m. on Tuesday in the area of N. Nebraska Avenue and E. McBerry Street. 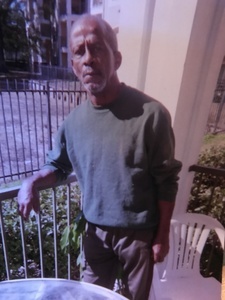 When they arrived on scene, they found a Ronald Felton, 60, shot dead in the street. Witnesses tell police that Felton was crossing the street to meet someone when the suspect came up behind him and shot him. Felton was on his way to meet with the pastor of the local church, where he has been a volunteer for the past 10 years. The reward for information leading to an arrest has increased to $110,000. Crime Stoppers, ATF, FDLE, and the FBI is offering $85,000 and the Seminole Heights community has added $6,000 to the reward amount. On Thursday, restaurateur Richard Gonzmart pledged $9,000 to bring the total to $100,000 and on Monday, November 20, David A. Straz, Jr. added $10,000 to the reward total. As of Monday, November 20, 2017, the reward stands at $110,000 for information leading to the arrest of the person or persons responsible for the murders in Seminole Heights. Anyone with any information regarding this case and who wants to be eligible for a cash reward is asked to call Crime Stoppers at 1-800-873-TIPS (8477), report anonymously online at www.crimestopperstb.com . Why is the killer still out there? "He clearly knows the neighborhood. We think he lives in the neighborhood. He knows the alleys, he knows the hiding spots," Mayor Bob Buckhorn told ABC Action News during an interview Wednesday. "This individual knows this community and even though our officers got there literally within minutes yesterday morning after the shooting, he had disappeared." "We are relying on the community to tell us"
"I can promise you this. Even if you don't wanna snitch. This could be your mother that's next," Mayor Buckhorn told ABC Action News. "I can't promise you there won't be another one." "At 4:51 a.m. on November 14, was there someone you know that should've been at home, should've been at work and they weren't there? We need to know." Chief Dugan said following the fourth homicide. Could the murder weapon be a missing gun? Chief Dugan is asking residents who own guns to go in their homes and verify that their guns are still there, insinuating that the suspect may have stolen any weapons used in the killings. If a gun is missing, it should be reported immediately. The FBI is going door to door in Seminole Heights gathering information as part of their investigation. Police also are urging residents in the Seminole Heights area to be vigilant and follow some basic safety tips. Police are urging resident to not walk alone at night. "We have someone terrorizing the neighborhood... Don't walk alone," Chief Dugan said. "Be aware of your surroundings." If you must be out walking after dark, arrange to have a friend join you. "If you're walking alone, you're either a suspect or a potential victim," Chief Dugan warned. Chief Dugan is asking all residents in the area to turn their porch lights on every night to help keep the neighborhoods safer. He says anyone who does not have a porch light can contact TPD and they will provide one for you. Tampa Police can provide light bulbs if necessary. Governor Rick Scott directed the Florida Highway Patrol to deploy additional troopers to the area. The troopers will work with Tampa PD to enhance their efforts in patrolling the neighborhood to increase safety. “Safety is our top priority, and we are glad to provide additional state resources from the Florida Highway Patrol and FDLE to the Tampa Police Department to assist in their efforts. I have spoken with Tampa Police Chief Brian Dugan and Mayor Bob Buckhorn to offer any resources they may need from the State of Florida," Scott said. Despite the increase in patrols in the area, police are asking residents to report any suspicious activity to Tampa Police at 813-231-6130. Mary Stringini is a reporter for ABC Action News. Follow her on Twitter @MaryWFTS.